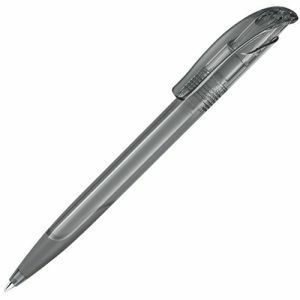 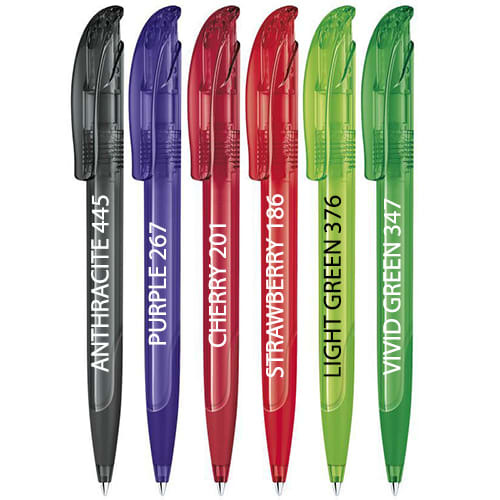 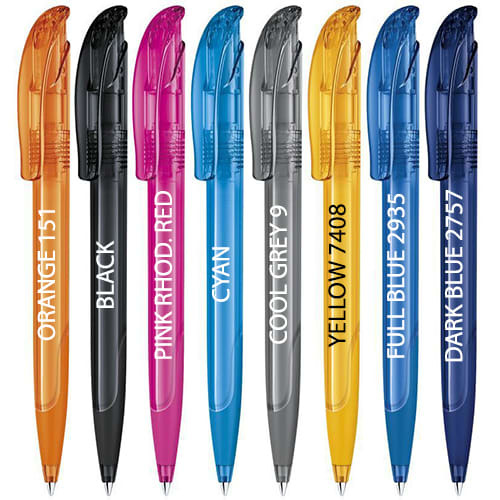 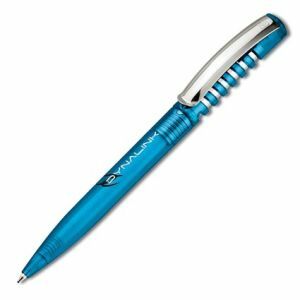 Printed Challenger Soft Clear Pens are retractable ballpens with eye-catching,ergonomic soft grip sections. 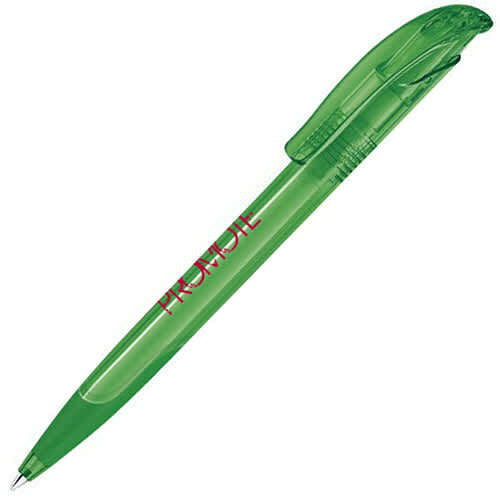 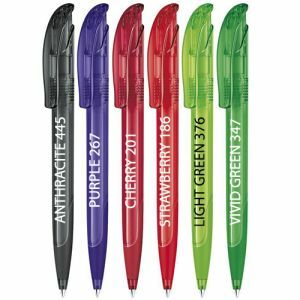 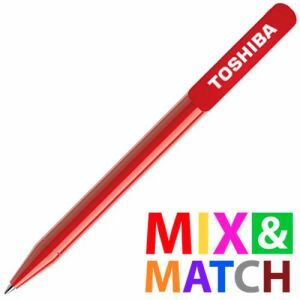 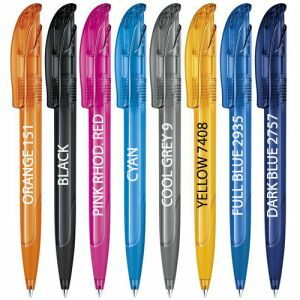 Available in a wide selection of translucent colours, these popular personalised pens are also made with broad, curved plastic clips and push button retractable mechanisms. Plastic G2 super large capacity refill, blue ink as standard, black ink available upon request.